If you've been a follower of my blog for a while, you might know that I'm all about the current vinyl collectible craze right now. From the old school "Mighty Muggs" to the madly popular Funkos ("POP! 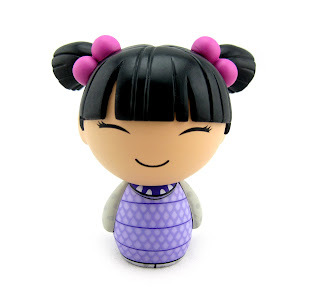 ", Mystery Minis, etc.) to Disney's very own Vinylmations, etc...I love them all! 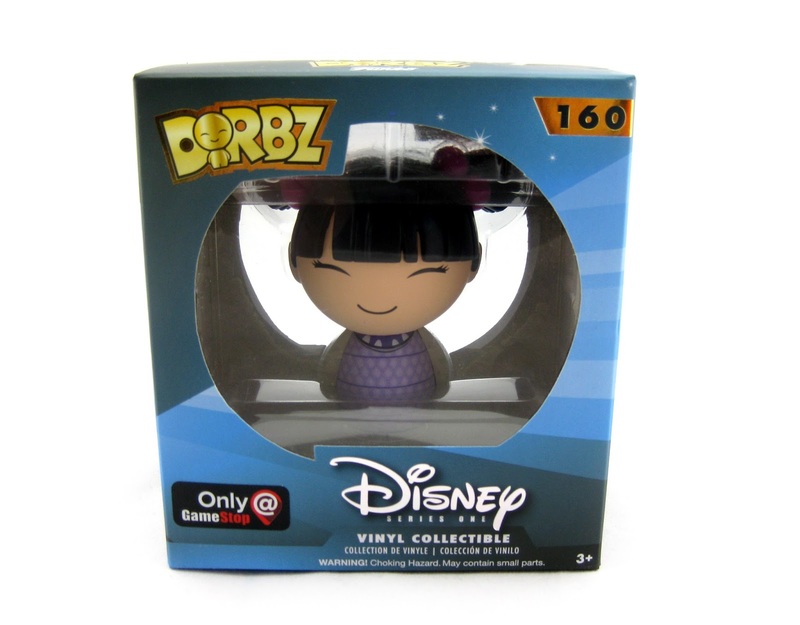 Well, yet another line of stylized vinyl figures has surfaced and is growing in popularity: "Dorbz" by Funko (previously owned by Vinyl Sugar)! Here we have the brand new, adorable Boo in monster costume from Monsters Inc. (#160/Disney Series One). 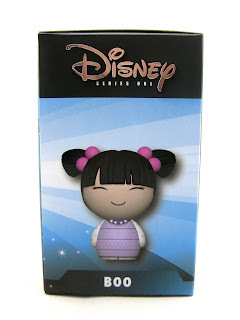 This version of Boo has just hit shelves and is available only at GameStop. 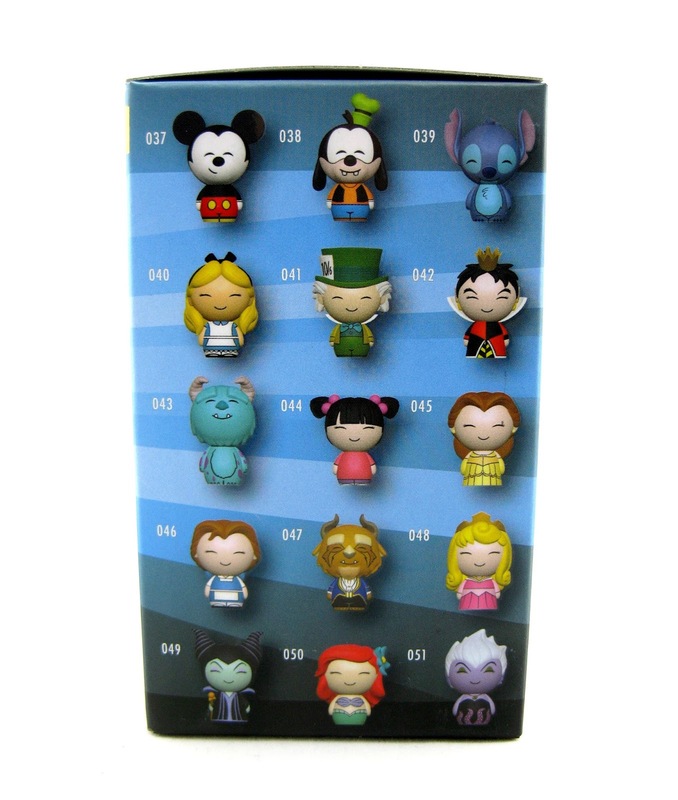 Take a look at some of the other characters in this collection on the side of the box. 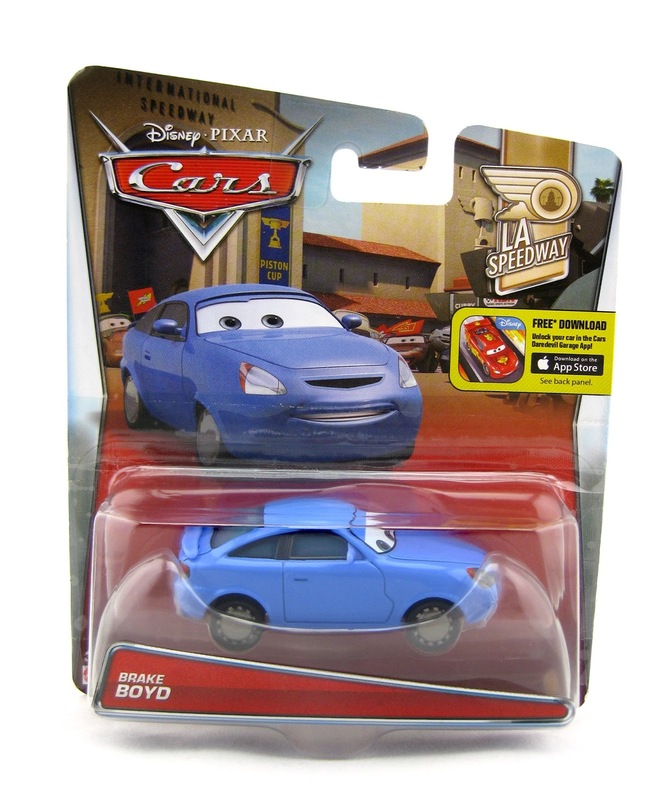 So far Sulley, Boo (standard edition) and this Boo are the only Pixar characters, but I'm so hoping for more soon. These little guys are so great! 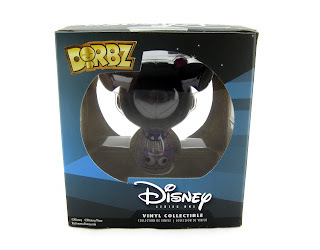 Dorbz stand at about 3" tall, feature one point of articulation (the head can rotate a full 360 degrees) and are perfect for both kid and adult collectors. They typically retail for around $7.99, but it depends on where you purchase them. I had a fun time searching for this one today. For myself, as an avid collector, the hunt is half the fun! I went to several GameStop stores and each would tell me "oh we don't have that, but the one over in _____ does." I felt like I was on a "wild Boo chase" for a while there! Needless to say, I was happy to have finally found one. Apparently (according to the GameStop employee that I talked to), this Boo is pretty rare and already highly sought after. The store I found it at only ever got one in stock, so I was thrilled to have snagged it. Be sure to head to your local GameStop today to check for availability! This is a must have for any Monsters Inc. fan/collector. Here we have Brake Boyd, a brand new Mattel 1:55 scale Disney·Pixar Cars release! He is part of the 2016 "LA Speedway" sub-series (#6/11). As shown in the screenshot above, Brake is briefly seen in the crowed right before the big Piston Cup finale race begins. He is next to Mrs. Boyd (who will also be released this year, currently unnamed) and the previously released Coriander Widetrack (who appears to be their "daughter"- red and blue do make purple after all ;). I was lucky enough to find this one a few weeks back at Walmart, so be sure to head to your local stores to check for availability! And as usual, best of luck on the hunt to all my fellow Cars collectors. This Buzz Lightyear light-up keychain was an item that I had a lot of fun tracking down last week during our visit to Walt Disney World. I had seen it on the Shop Disney Parks app and had planned on getting it, but it turned out to be pretty tough to find. It's definitely not a common item there. The app said it was at the ImageWorks gift shop in Epcot, but when I got to the actual store, the cast members told me that the app was incorrect and that they never had any in stock. 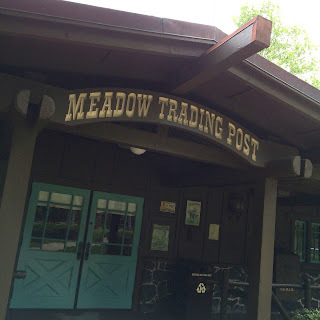 The only other two places the app indicated this was sold at were the Settlement and Meadow Trading Posts at the Fort Wilderness resort...which was pretty far out of the way. The last morning we were there, I decided to just bite the bullet and drive over to Fort Wilderness (since we had our own car). Lo and behold, there it was at the Meadow Trading Post! I had been looking out for it in every gift shop all week, so it was nice to finally see it hanging there. Retail was $9.99. One final note, I'm not sure if this is suppose to be the Small Fry Buzz from the Toy Story Toon or just a stylized Buzz that happens to look [very] similar to that. It does have almost the exact likeness of the Small Fry character, but nothing on his tag or the Disney Parks app states it officially. 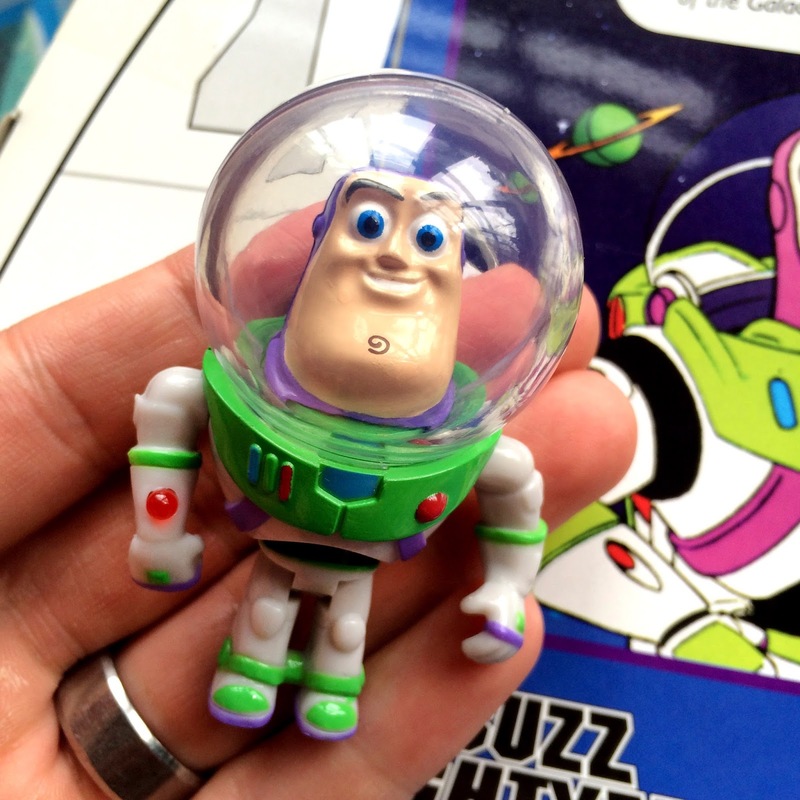 The one detail that makes it confusing for me is that this Buzz has a laser and the Small Fry Buzz doesn't. So what do you think? A couple weeks ago, I posted THIS fantastic The Good Dinosaur postcard by a newfound favorite artist of mine, Joey Chou. 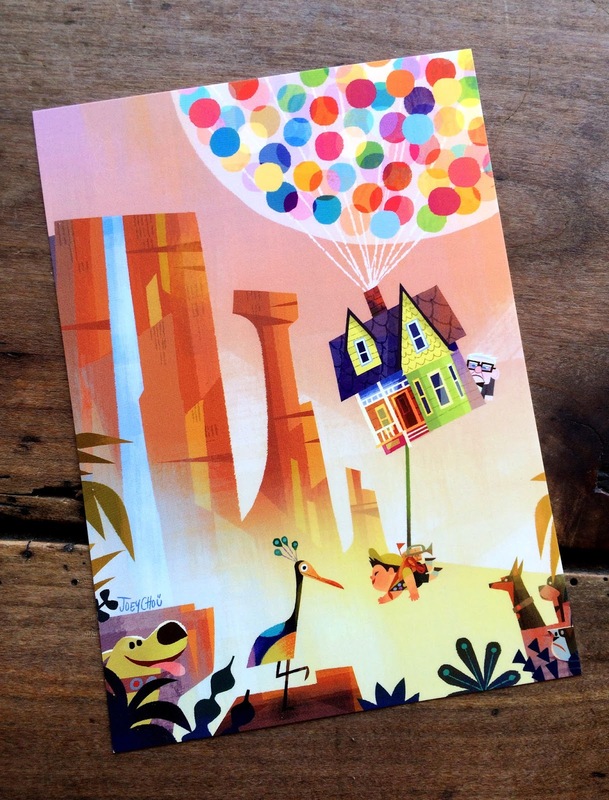 Well it looks like Mr. Chou has been hard at work, as he recently released another outstanding piece of brilliance- this wonderful Disney·Pixar Up themed print entitled "An Unlikely Adventure." Again, Joey's use of straight lines, texture, basic geometric shapes and bright colors (as well as pastels) makes for a really unique looking and beautiful minimalist design. His style is out of this world! I found this at the Wonderground Gallery (in Disney Springs) during our Disney World trip last week. I was so excited since I had seen images of this design online, but hadn't expect to come across it! 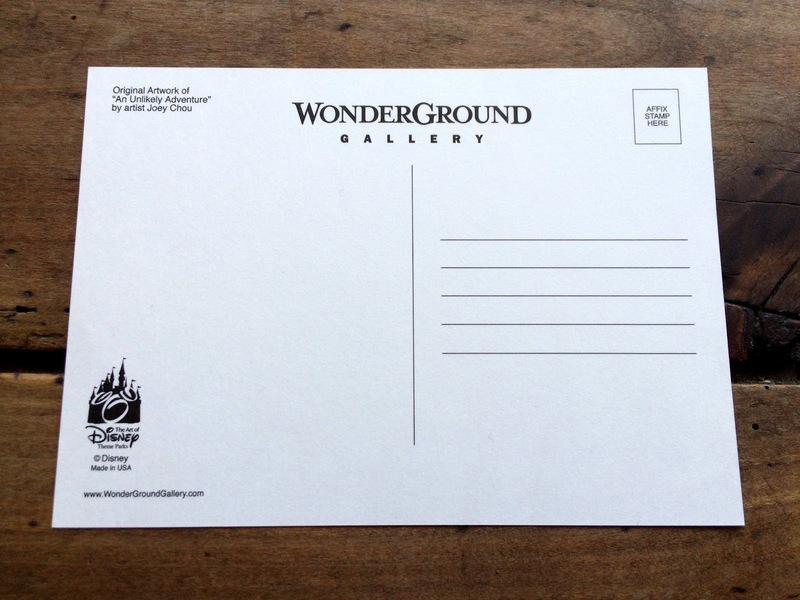 Note: This is also available at the California Wonderground Gallery in Downtown Disney. This was the most affordable way to purchase the print, but there was a larger size (ideal for mounting/framing) and a wrapped canvas version at the gallery as well (that's the one I would have loved to get). Check out some of my pics from there at the gallery below! Joey, you've officially made it on my shortlist of favorite Disney artists! I greatly look forward to checking out all of your older designs as well as what's in store for the future. Find out more about Joey Chou and his art on his Tumblr, blog, and Facebook page. I've mentioned my nephew Noah here on the blog countless times. 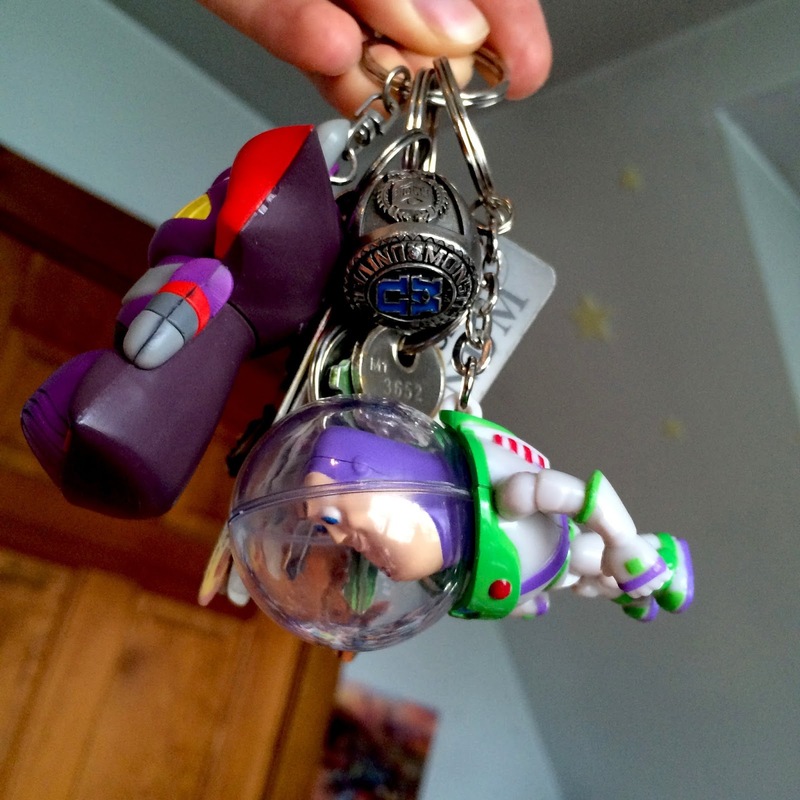 If you've followed along, you'll know that Noah is Toy Story's biggest fan. 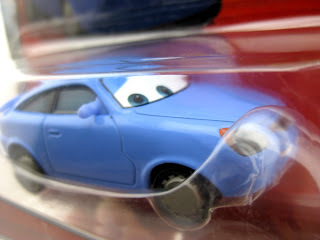 In fact, he loves just about all Pixar movies and calls all the characters his "friends." He's absolutely obsessed...he's just like a little me! We're totally best buds. Well yesterday was Noah's third birthday and it was none other than Toy Story themed! My sister Katie (Noah's mom) and I had been planning on this for literally over a year, so we were incredibly excited that the day had finally come. Of course I would be heavily involved, since 99.9% of the decorations were coming from my collection. 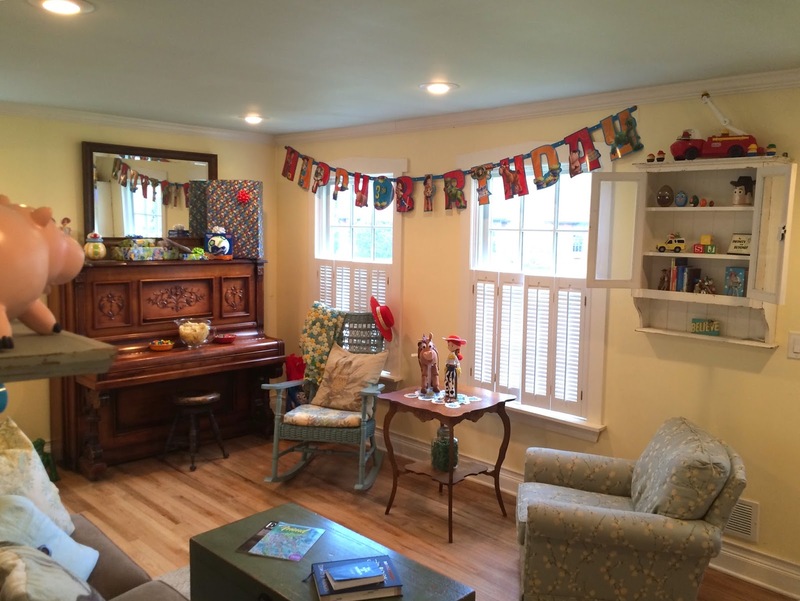 I was more than happy to help create the magic of Andy's room for his party! I was actually probably looking forward to doing this as much as Noah was excited for his special day. Without further ado, let's get to checking out what we came up with! If I do say so myself, everything looked just about perfect. I'm so happy with how it all turned out. 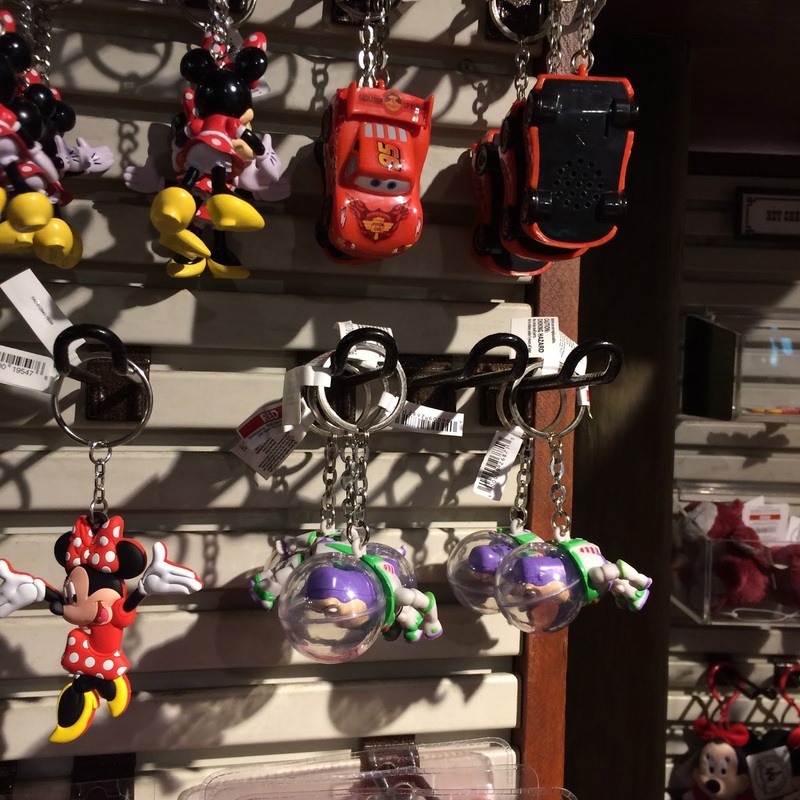 Oh, and picture everything with Toy Story music in the background- cause that's how it was! We played a "guess how many army men are in the jar" game. Classic! The winner got a nice little prize. My dad (he's a professional photographer) took the fantastic "Noah's turning 3" shots featured on the mantel and my sister in-law Laurie did the logo design and the compositing. It couldn't be any cuter! All the goody bags in the toy wagon was a nice little touch. Here's Noah in his special birthday Toy Story shirt! Picked up that and the adorable mug at the Disney Store. We had "Pizza Planet" pizza for dinner! What else? Brother and sister! My niece Kambria had so much fun dressing up as Jessie for the party. My wife Brita and I got him some Toy Story "Zing Ems" and the corresponding Pizza Planet Astro Arena playset! Noah and I had been watching videos about those on YouTube for months, so he was absolutely thrilled to get some. That's all he could talk about for the rest of the night! That made us feel good. He we are playing with his Zing Ems and playset that I helped him set up. He played with that until he was falling asleep...success! The funniest story of the night is when he kept saying "I need all the Zing Ems" over and over and over and over (after he saw the other characters available on the back of the box). I told you, he's a little me! 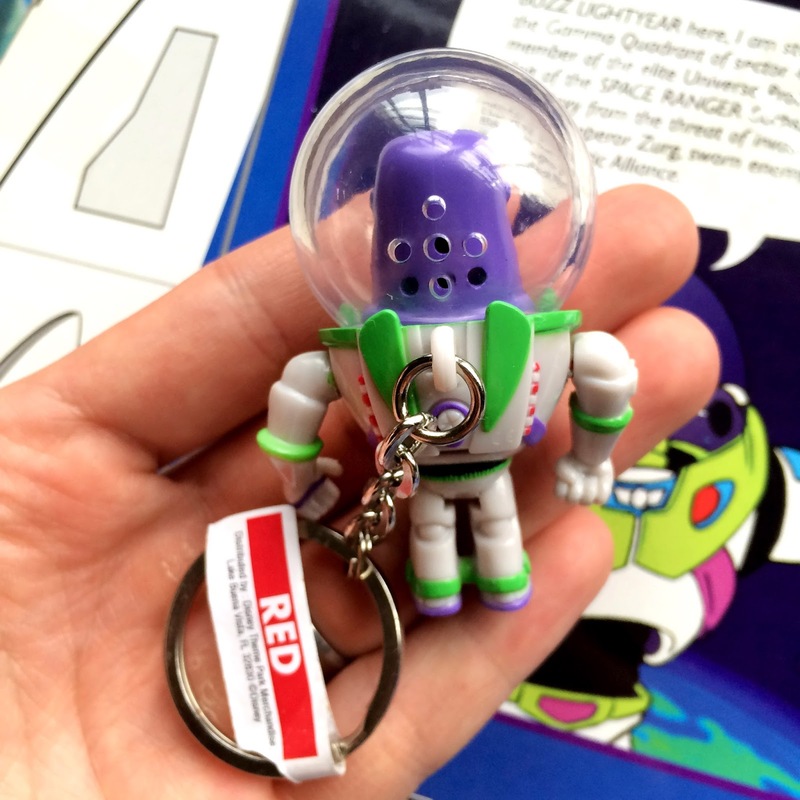 Pixar collector completest mentality. What's even funnier is that my sister told me that the first thing he said when he woke up this morning was "mommy, I need all the Zing Ems." Hopefully you enjoyed this peek into last night's fun. This may even help you with some Toy Story birthday party ideas of your own! Be sure to let me know in the comments what you think.